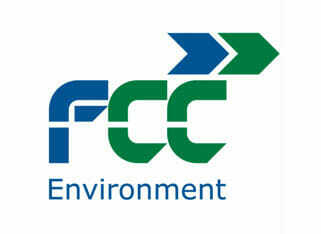 FCC Environment is one of the UK’s leading waste and resource management companies. The Company’s approach is to minimise the amount of waste that ends up in landfill by transforming it into valuable resources wherever possible. The Company provides a range of services, from collecting business and municipal waste to recycling and processing, and the generation of green energy from waste. FCC Environment operates landfill sites for the disposal of waste from which no further value can be extracted. Rainfall run-off from FCC Environment’s landfill site at Colsterworth near Grantham is collected in a lagoon and tested for contamination before being safely discharged into the local watercourse. Leachate, which all landfill sites produce, is collected by road tanker and taken to the local sewage treatment works for disposal. The wettest winter since records began resulted in the run- off lagoon becoming full. Worse, the high rainfall generated more leachate than usual and this contaminated the lagoon. Faced with 40,000m3 of contaminated water that couldn’t be discharged onto the watercouse, experienced Leachate Manager Lorna Gibbs phoned Veolia Mobile Water Services. “We could only manage four tankers a day at this rural site, and that would take nearly a year to empty the lagoon if we had no more rain. We had to reduce the volume, therefore mobile Reverse Osmosis technology was the most suitable option”. 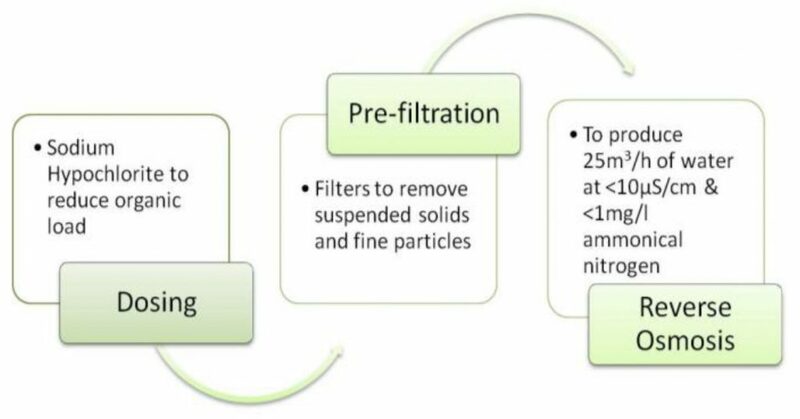 Veolia’s reverse osmosis technology, complete with pre treatment filters to treat the contaminated water to a quality suitable for direct discharge to the watercourse. The concentrated reject stream from the reverse osmosis plant was tankered to the sewage treatment works, but the volume was reduced by two-thirds, reducing tanker movement, minimising environmental impact and saving money in tankering costs. Continuity for any production cycle is essential. In the case of an emergency, Veolia can mobilise and send to your site a temporary water treatment system within a trailer or container. This can normally be with you in less than 24 hours, freight time dependant. This will either replace or supplement your existing water treatment facility and if required a Veolia engineer will operate the equipment. In addition, Veolia offers to its customers the PREACT service. This is a comprehensive survey of your water treatment plant to develop a Site Response Pack in the event of an unplanned incident happening. If you are required to call us this ensures the correct equipment and ancillary items are delivered to produce treated water in the fastest possible time. The Veolia system was installed in January 2013 and has been operating continuously since then reducing the lagoon volume by over 600m3/day. Without the mobile plant the whole of the 40,000m3 of contaminated rain water would have been considered leachate and would have been tankered to the sewage treatment works at the normal rate. Even allowing for the hire charge and operating cost of the mobile plant, the cost savings were considerable with the added environmental advantages of greatly reduced road tanker movement and more rapid disposal of the contaminated water.